What happens when a longtime gamer becomes a first-time mom? Motherhood becomes the most engaging game she’s ever played. Join Regina McMenomy, Ph.D., as she reflects upon her experience leveling up as a first time mom. A lifelong gamer, Regina explores what it means to be a parent through quests, achievements, and screenshots, adeptly drawing parallels between being a mom and being a gamer. 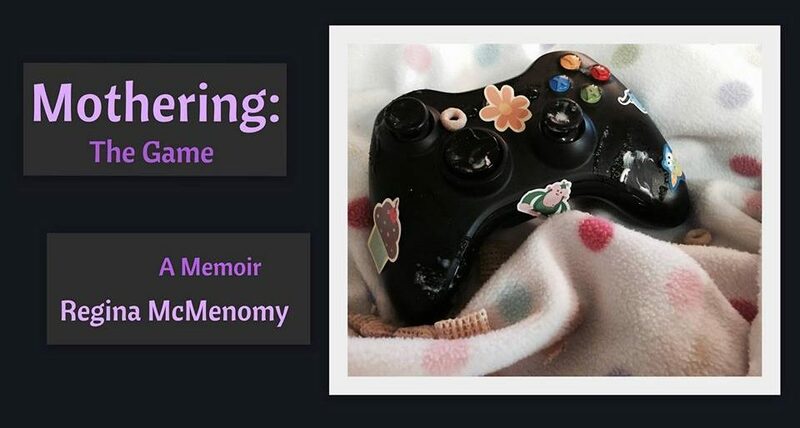 This memoir tackles the good (giggles), the bad (teething), and the ugly (blow-out diapers), all through the lens of a gamer. Sometimes humorous, always touching, this book is a must-read for mothers and gamers from novice to expert. Regina is a gamer, writer, teacher, and podcaster living in the Pacific Northwest. She completed her Ph.D. in 2011 from Washington State University in Vancouver and continues to teach there part-time. Regina’s research focuses on women and technology, and her dissertation discusses female gamers and identity in digital role-playing games. A lifelong geek and technology enthusiast, Regina recently started a Girls Who Code club in support of their mission to close the gender gap in technology. To continue the conversations about gender and gaming that Regina started during her research, she started a podcast called Game on Girl. Called the “NPR of game podcasts” by Chris Brown of The Married Gamers, the podcast features women involved in science, technology, and math, and tackles some of the complicated issues in those industries. Season 2 began in the spring of 2018 and will premiere new episodes monthly. You can follow her podcast and geeky interests on her website, The Geek Embassy.